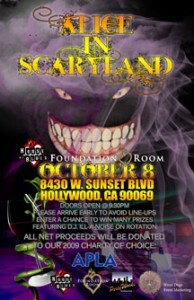 On Thursday, October 8, Street Dogs Marketing helped host a night of enchantment at the House of Blues called “Alice in Scaryland.” This event took place over the entire upstairs level (the “Foundation Room”). Our goal was to re-create the surreal, twisted world of Alice with a slightly seductive, sultry edge! This wonderland was be a maze throughout all seven areas of the Foundation Room. From body painting to hookah lounges, live statues, to “Drink Me” potions, there was much for the eye to see! All net proceeds were donated to APLA. Street Dogs was privileged to help Camp Ronald McDonald with their annual fundraiser. The organization benefits children with cancer. Street Dogs donated time and equipment to provide guests with customized photos of the event. Street Dogs and Master Escape Artist Curtis Lovell will be teaming up for another adrenaline rushing performance at Pico Park in the city of Grand Terrace, California. 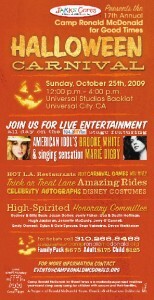 During last year’s Halloween, he performed Houdini’s, “Buried Alive” in front of 1500 participants. On October 30th, 2009, Curtis will perform the stunt called, “Hangman”, where he finds himself suspended in the air a hundred and seventy feet off the ground and in a straitjacket. The very rope that is strapped to his feet will then be lit on fire, pushing his composure to the edge. As soon as the straitjacket is off, Curtis will be handcuffed and lowered into a tank of water as part of the second performance. The tank will then be sealed off and Curtis will find himself on the verge of another brilliant performance. Street Dogs helped with, “A Time for Heroes”, sponsored by Disney on June 07, 2009. The event benefitted the Elizabeth Glaser Pediatric AIDS Foundation, which was held at the Wadsworth Theater in Los Angeles, California. 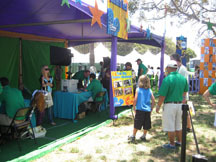 On site were four green screen studios for children who wished to have their pictures computer generated onto photos consisting of celebrities; Miley Cyrus, The Jonas Brothers, Wizards of Waverly Place, and Sonny With a Chance. Street Dogs worked with Planeta Wrigley’s at Whittier Narrows Park in Rosemead, CA. Children were able to play and participate in numerous activities scattered around the park. Just to name a few, there was rockwall climbing, a eurobungee, a basketball challenge court, and a soccer challenge court. 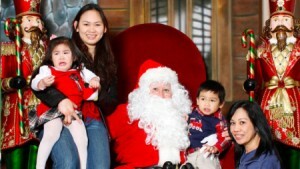 Approximately 100,000 people attended the yearly event! Street Dogs helped Santa with photos and a Santa’s Workshop set for employees at Glendale Memorial Hospital. Street Dogs took photos at Jessica Lowndes’ (90210) 22nd birthday party at Hemingway’s in Hollywood. The roaring ‘20s theme had guests dressed in flapper dresses and gangster suits. 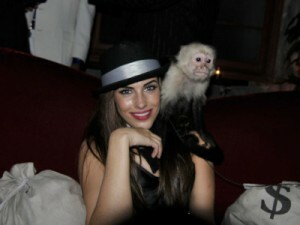 A Michael Jackson impersonator and a live monkey completed the fabulous birthday bash. Street Dogs helped this annual fundraiser by providing a strolling magician/3-card monte con man. 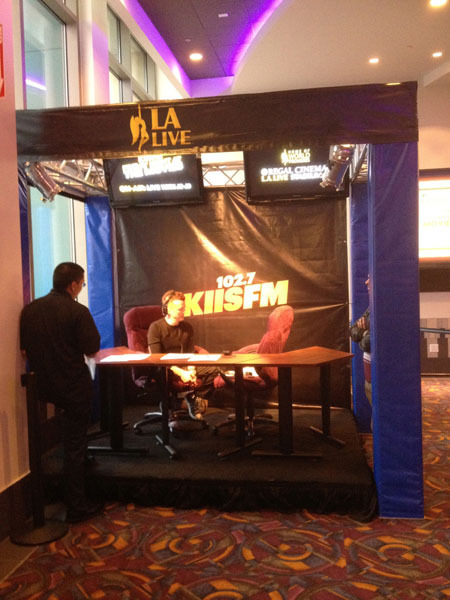 Street Dogs designed and constructed a DJ platform at the Regal Cinema (LA Live) for KIIS-FM’s Jojo remote broadcasts on Fridays. The L.A. Kings Texas Hold ‘em fundraiser at the L.A. Marriott at LA Live was a great success, and our photographic services recorded it all.